Having a clean work environment is something that all business owners and managers strive for – but the benefits of having a clean office are often pushed to the back burner while you work on keeping the bottom line thriving. With so many obligations that you have to focus on, it is easy to overlook something like cleaning the office. When an office isn’t regularly dusted and sanitized, it affects the quality of the air. 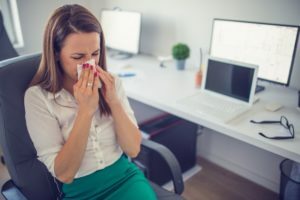 It’s much easier for people on your team to get sick, and to continue to pass illnesses around when your office isn’t free of allergens, dust, and other microparticles. By having a professional office cleaning company come in, you ensure that the utmost care is taken to actually sanitize the office, not just knock the dust off the surfaces. When clients or partners come to your office, what do they see? Your office is a reflection of your company. If they see a clean, orderly office that is a haven for productivity, they’ll think that your company is all of those things as well. But if your office is full of overflowing waste bins, boxes blocking traffic paths, dusty corners, and a messy breakroom, they’ll likely get the impression that your company is haphazard and not very organized as well. Hiring a professional company in Edmonton to clean your office ensures that no matter how busy you get, your office always gives the right impression. Many businesses avoid hiring a cleaning company in Edmonton by adding cleaning duties to the employees. But this is a surefire way to sink office morale. Workers applied to your company to exercise their professional skillsets – which don’t include properly cleaning a bathroom or sanitizing a break room in a way that keeps everyone healthy. They are more likely to resent these extra duties, which can make them less likely to be invested in their work. 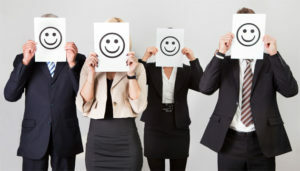 Save your office morale by hiring professionals for the cleaning, and letting your employees do what they do best. Speaking of hiring professionals in Edmonton, another great reason to hire a professional office cleaning company is that you get all the advantages of professional knowledge. Having a cleaning company come in is much different than having employees empty the trash and wipe down the sinks. A professional cleaning crew will use skillful techniques to keep your office truly sanitary, and will also do the things that many people would overlook, such as keeping bathroom products stocked and ensuring that the lobby is well maintained for your clients. Finally, one of the best reasons to hire a professional cleaning company is that having a consistently clean office will boost productivity. It has been shown in many studies that a clean and orderly environment is the best way to keep employees focused. If cleaning is part of their daily duties, it’s likely to get pushed aside at least once or twice. With a professional company, there’s no chance of that. Your office stays clean routinely, which means your team is routinely productive. And that can have a big impact on your bottom line. Learn more about our solutions for all your cleaning dilemmas by calling Red Door Cleaning in Edmonton at 780-686-9974, or email your questions to info@reddoorcleaning.ca.